Previously Trinity Hotel, Mojo Hotel is a brand new hotel to Laganas and it couldn’t be closer to the party scene. It’s located in the middle of The Strip with Zeros Club one side, Sizzle Club the other side and Kamikaze bar opposite. You’ll have everything you need in a 100-metre radius including clubs, bars, restaurants, the beach and shops. Although we hope you won’t need to visit one, there is a medical centre just next door and opposite the hotel. If partying all day and all night is your thing then Mojo is for you! This hotel is for the all-night raver not the chilled sunbather. Don’t expect a full 8 hours sleep here with the hotel being part of The Strip and the surrounding bars. Stumbling from The Strip to your hotel room is quite literally possible at Mojo. Do expect the messiest week ever, to create memories of a lifetime and become a fully fledged member of Team Mojo! Mojo Hotel is a legendary party hotel, so be ready to meet and party with your new holiday family for the week! In terms of partying hard, our in-resort reps/hosts will be on hand to make sure you have everything you need to have the best week of your life! Food and drink are offered at the pool bar, snack bar, and restaurant inside the hotel. 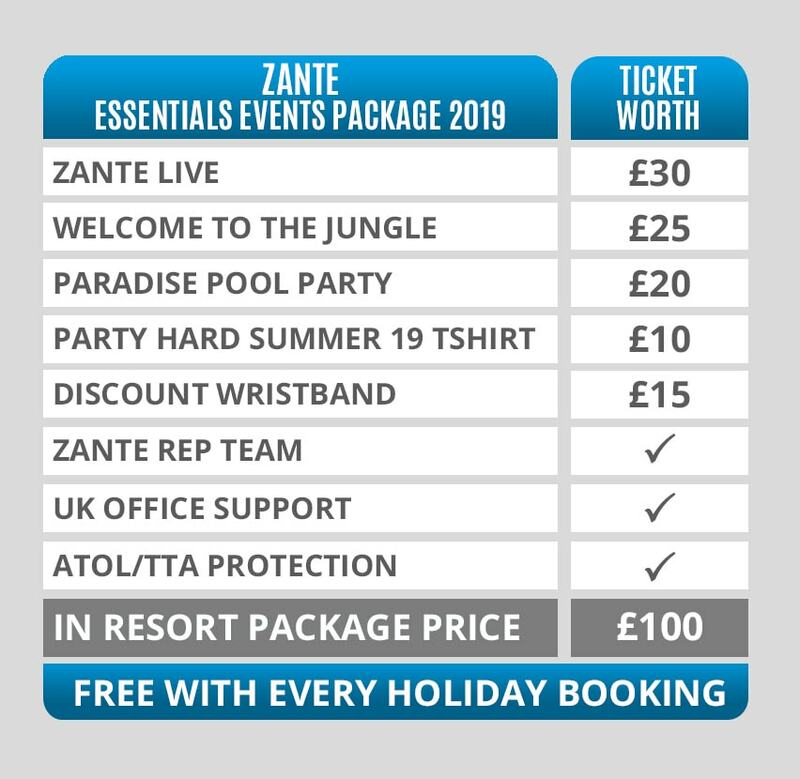 This is a budget hotel for your party holiday to Zante, so rooms are basic but you only need it to get ready and sleep in anyway! There are optional extras like aircon, a safe and a fridge all available. Please note, like almost all party hotels abroad, a conditional, returnable room deposit may be required on arrival (no more than €50pp).